At IJM, our working relationship with each other is governed by a set of values that define who we are and how we do things here. With the IJM Mark of Excellence and a strong commitment towards delivering on our promise, we uphold a high standard of integrity in the dealings with our stakeholders. We demonstrate a true passion for what we do to surpass standards of excellence and drive efficiency. An industry leader needs individual leaders. Our success relies on the contributions of our diversified workforce. At IJM, we strongly believe in growing talents from within our organisation and provide opportunities for our homegrown talents to move up the career ladder. 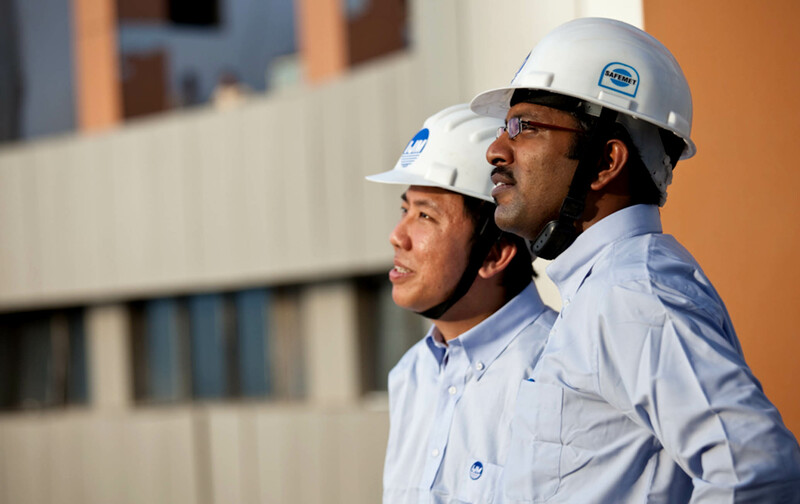 We nurture and grow our employees via a talent development framework that supports capability building, career advancement and progression of our people. Our learning and development programmes include exclusively designed leadership development programmes for each of the different pipeline levels, soft skills programmes, technical skills programmes, on-the-job learning through project exposure and job enrichment, and customised high potential programmes. Our initiatives ensure that our employees have the appropriate skills and knowledge to fulfil our strategic and operational objectives in addition to their own professional and personal growth. We recognise that to engage our valued employees, it’s not just about ringgit and cents. Our Total Rewards framework provides a holistic package to cater for the diverse needs of our people. That includes our competitive compensation with performance-based rewards and incentives; benefits that cover health care, insurance, welfare, education assistance, professional and club membership. We believe in promoting a cohesive environment and meaningful work-life through sports, recreational and corporate responsibility activities. Our biennial IJM Games and annual dinner often bring us together rejuvenating the spirit of camaraderie. We also recognise long service staff for their contributions and loyalty through annual recognition ceremony. An engaged workforce brings about passion, positive energy and productivity to the organization. To that end, we are very active with our thoughtfully designed total employee wellness initiatives to instil awareness and adoption of healthy living. There are 4 dimensions in Total Employee Wellness which covers Financial, Physical, Emotional and Environmental perspectives. With our custom wellness campaigns, we seek to make a positive impact on the lives of our employees. At IJM, we believe that education can inspire young minds to build better futures for themselves and the people around them. 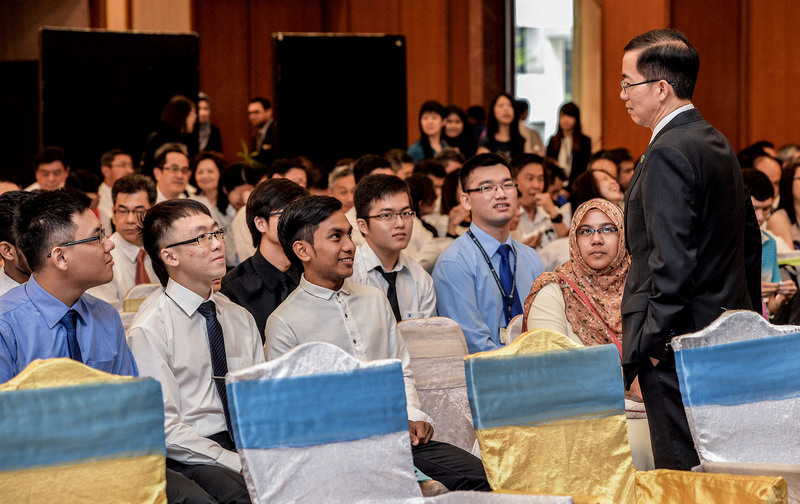 To help develop, nurture and raise excellent and talented Malaysians of the future. Through this award, financially needy Malaysians are given the opportunity to develop their full potential, fulfil their aspirations and contribute towards the nation's development. A programme that involves an all rounded exposure to the various functions of the businesses providing the necessary experiences and skills to jumpstart in their career. To provide opportunities to undergraduates in gaining real-life working experiences which are relevant to their field of studies. Interns will have the opportunity to develop their soft skills during the internship period. Thank you for your interest in IJM. We encourage you to explore job opportunities at IJM and to review openings that are listed on our website, IJM Careers on LinkedIn or on Jobstreet.com. We also encourage you to be wary of agents, internet, email and telephone scams in which fraudsters may try to take advantage of job seekers by pretending to represent prominent companies, including IJM.